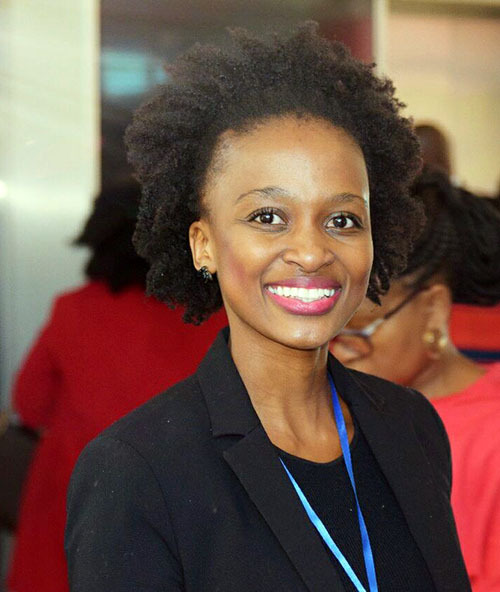 A Wits doctoral student has returned home to South Africa after spending six weeks in the United States on the Mandela Washington Fellowship for outstanding leaders. Ndoni Mcunu, a PhD candidate in Environmental Science, was chosen to attend the fellowship administered by the Young African Leaders Initiative (YALI) in Nebraska where she spent five weeks at the University of Nebraska-Lincoln followed by another week in Washington DC. “It was challenging and I was not expecting that kind of challenge. I think I was expecting a challenge in terms of content and theory but instead I was more challenged as an individual,” Mcunu said about her experience. “My highlight was just seeing how much effort is put into community, in terms of a soup kitchen or a place where the community can go get clothes or a place to shop for vitamins and food. It’s not just soup and bread, you literally take a trolley and grocer, that’s amazing and that’s how much donations they get. I think we need that culture here,” she added. The fellowship which runs for six weeks brings together young leaders from 48 different African countries. This year, 63 South Africans were part of the fellowship. The fellows are selected for their outstanding leadership in their communities. Mcunu applied for the fellowship based on her involvement in social entrepreneurship through her non-profit organisation(NGO), Black Women in Science (BWIS), and her PhD research which focuses on climate change and food production. “I learned to have confidence in what I’m doing and in the way that I deliver what it is that I’m trying to do … I also learned a different way to view my NGO. It’s not just a charity thing that I’m just running but something that I need to start running as a business,” said Mcunu about what she learned from the fellowship. Mcunu started BWIS in 2015 and her intention was to start an NGO that reaches out to black female university science students and teaching them scientific skills. “I think that having more black females in the science industries can add some kind of different eye and perspective to whatever scientific topic that is there. I’s very important and it hasn’t been explored so we can’t say it doesn’t work,” she said.